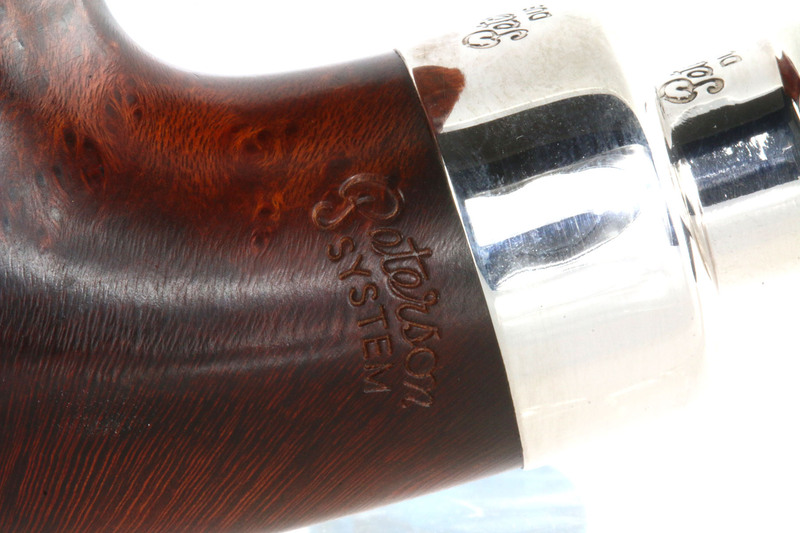 For System fans, there is cause for rejoicing in this year’s new sterling Spigot System line, officially stamped with a Peterson (script) over SYSTEM and engineered with a System reservoir and P-Lip mouthpiece with graduated bore, the 3 requirements for any Peterson to be an authentic System. I asked Conor Palmer if this meant that a spigot was finally being introduced officially into the System lineup, remarking that I didn’t see a SPIGOT stamp below or next to the SYSTEM stamp. 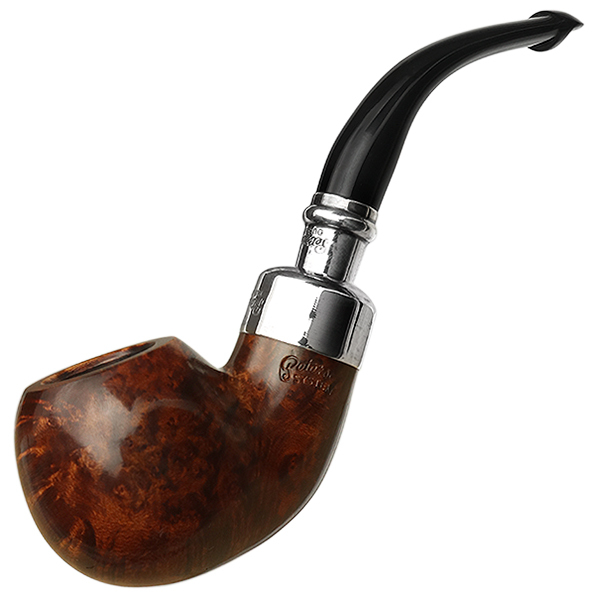 I have been hoping Peterson was going to commit to a System Spigot since the appearance of some “picking stock” acrylic P-Lip System Spigots at the 2016 IPCPR. Alas, no. 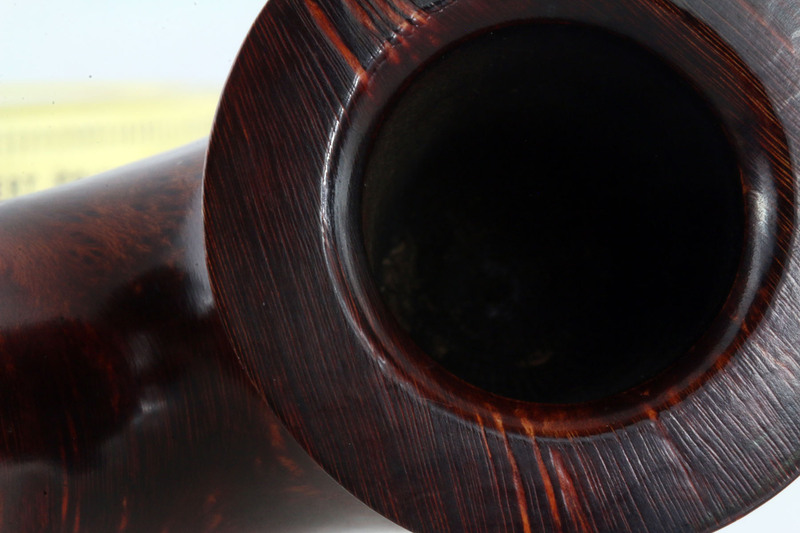 The 2018 line is the successor to previous years’ spigot lines, the 2015 Nickel Spigot, the 2016 Roundstone Spigot and the 2017 Newgrange Spigot. Practically speaking, this means (if Peterson releases continue as they have over the past several years), that the System Spigot will be on the market until next year’s Spigot line appears. 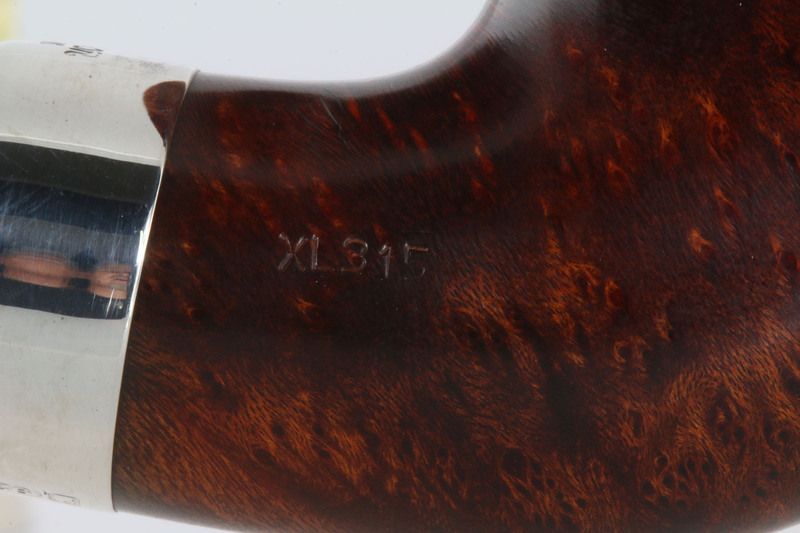 It is nice to see the line with the hand-stamping, which includes the reverse side hand-stamped shape number. 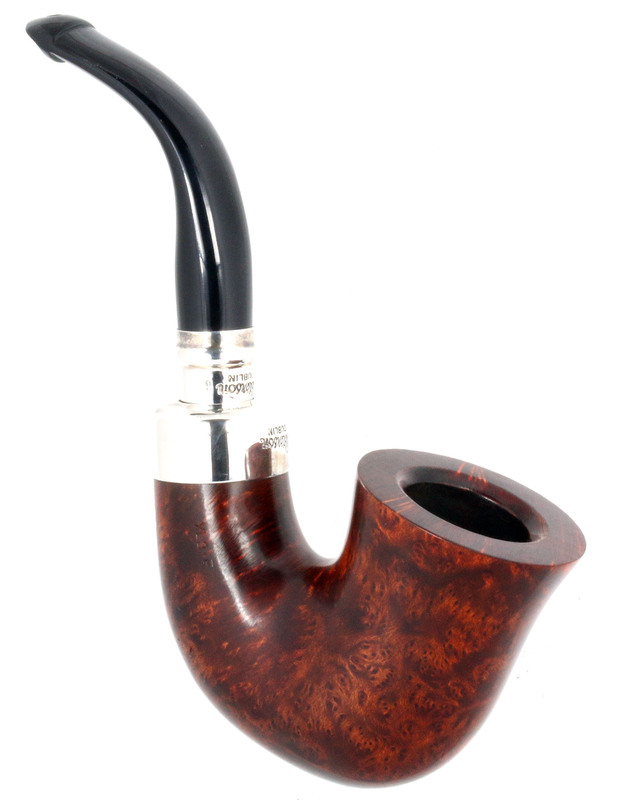 The bowl’s inner rim has been beveled, another indication of a mid to upper-grade Pete, giving it a classy look, as always. The gloss stain is officially dubbed “walnut,” but seems warmer to me, and looking at it with the naked eye in real life and natural light I’d call it mahogany red (Hex color #400303 for those so inclined) and one of the great things about the new line. The hallmarks, as you can see (above), are clear and crisp. Notice the · before the 925 has been removed by the Goldsmiths of Dublin. I think this is something new in 2018, but I’ll have to go back and check to make sure. 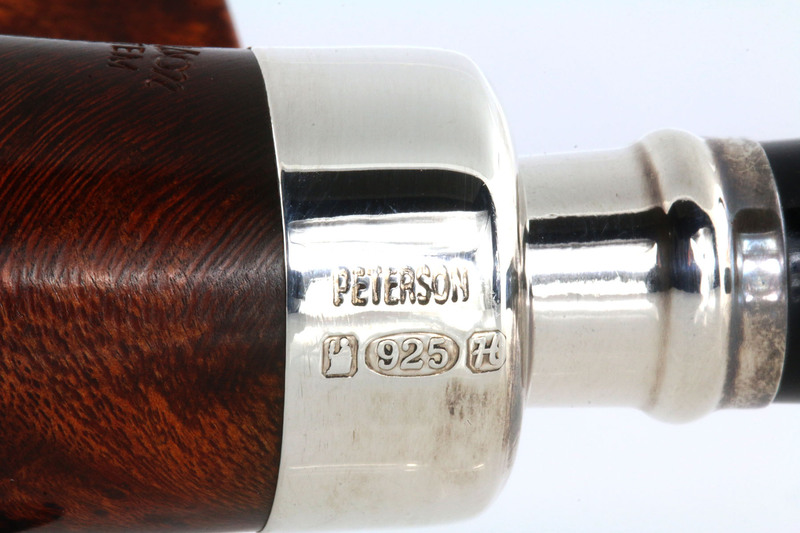 The hallmarking is placed on the bottom of the ferrule, centered quite nicely, with the Peterson’s script over DUBLIN stamps atop the ferrule, also quite nicely centered (shown below). The mount itself is not what I described on earlier sterling-mounts as a “Hinch mount”—a snub-nosed bullet shape—but a softly squared affair. 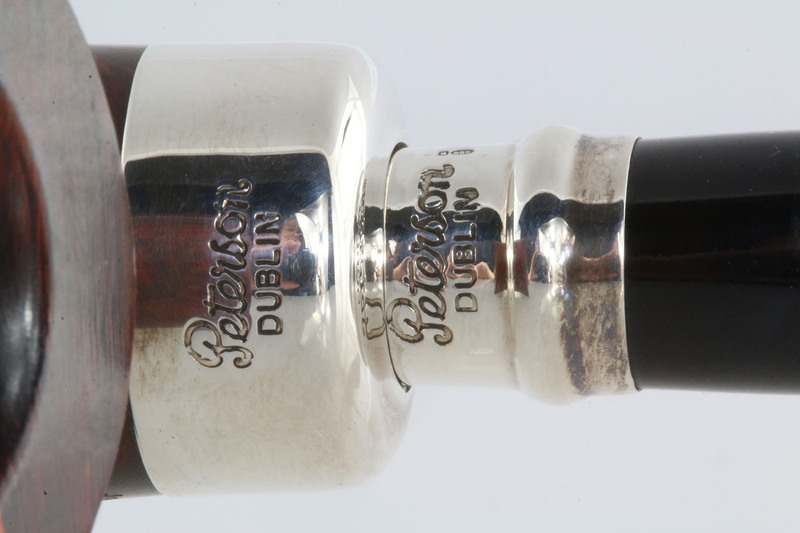 For reasons known to the Assay office in Dublin, only two of the three hallmarks seem to be required on the spigot. I know die-hard System freeks will be on the lookout for these, and those looking for a 9mm version are in luck this year, as the line is also available in 9mm. Price looks to be about $170 or so in the US. 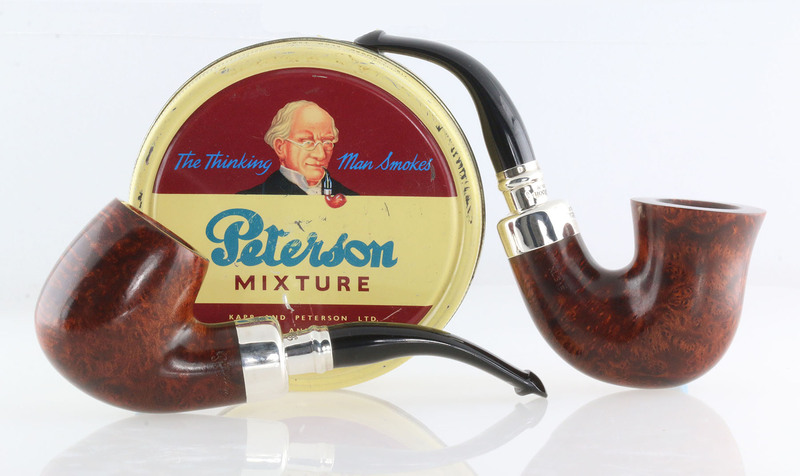 Peterson chose a pretty decent cross-section of shapes, as you can see above, although I wish that instead of issuing both the extra-small shapes (the 314 and even tinier 317), they’d opted for the 312, which after the demise of the 309 has become one of my all-time favorites in recent years–it’s a Charles Peterson patent shape, of course, but it’s also just so incredibly versatile, handling any tobacco you can think of with ease and excellent smoking properties. Ah, the Spigot System Pipe! One of my favorites! “Alas, no. 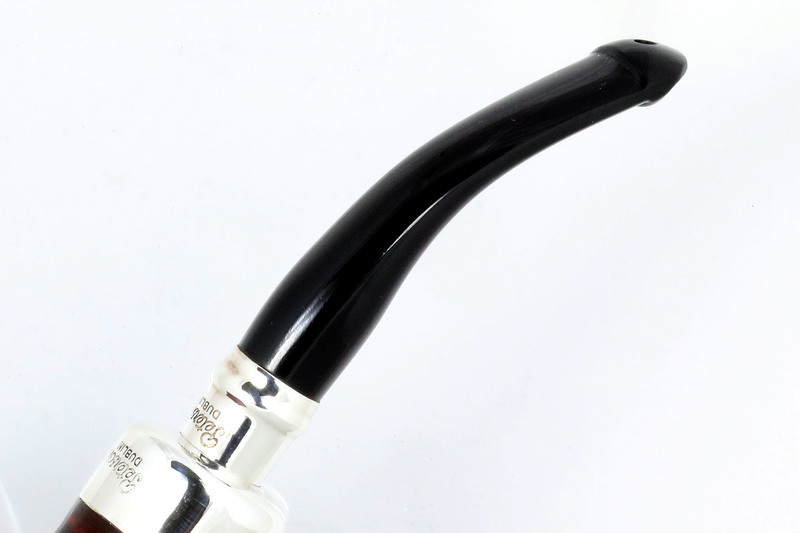 The 2018 line is the successor to previous years’ spigot lines, the 2015 Nickel Spigot, the 2016 Roundstone Spigot and the 2017 Newgrange Spigot. 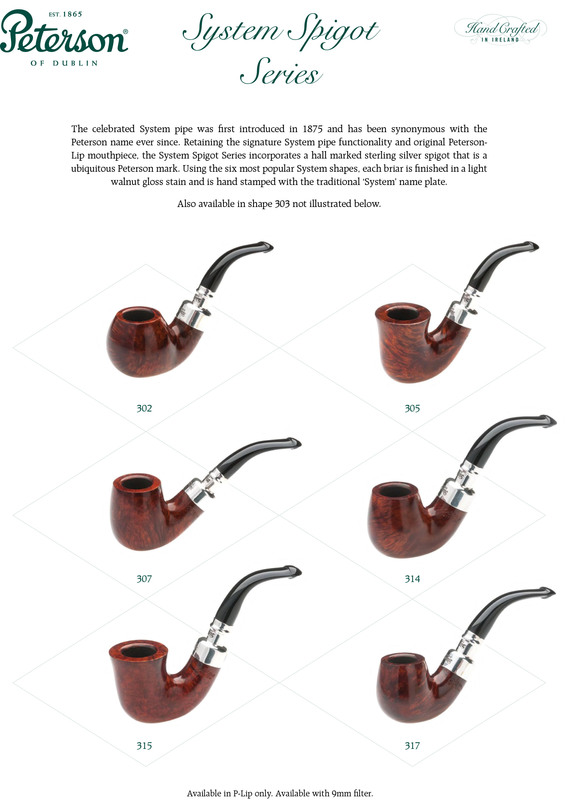 Practically speaking, this means (if Peterson releases continue as they have over the past several years), that the System Spigot will be on the market until next year’s Spigot line appears.” — Does this mean eventually the spigots mentioned (Roundstone, Nickel, Newgrange) will eventually disappear from the market or will they continue to be made? I know what’s on my Christmas list! Thanks for sharing, Mark.